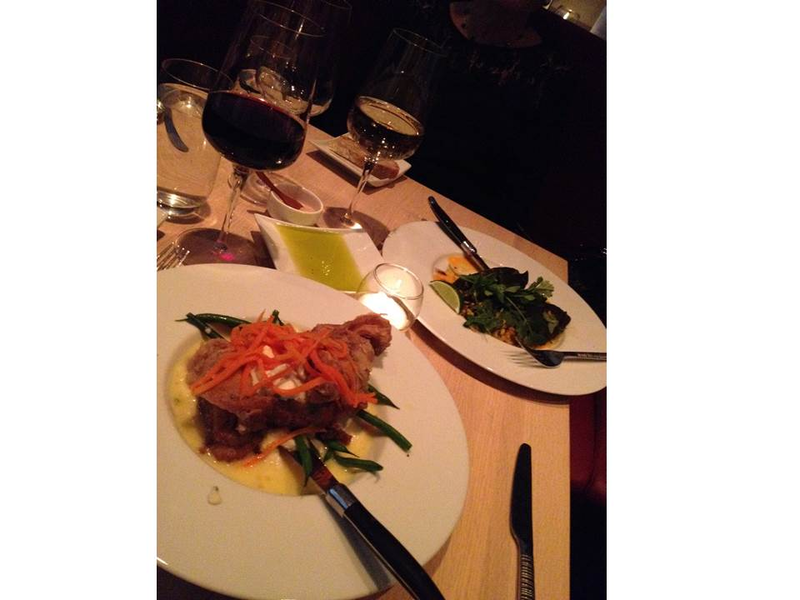 If you are headed to the Playhouse Square area for a show, you might be thinking about having dinner before the show. Surprisingly, the selection of nice restaurants within walking distance of the theaters is limited. And, reservations are highly recommended for the few that are available. We were fortunate to make reservations at Cowell & Hubbard before the show. Actually, we’ve been twice now: once before the Ashley Bouder Project and once before Restless Creature. Both times I dragged my feet in making the reservations, so we were seated really early. I mean, early bird special early. No matter--the staff was gracious in allowing a leisurely meal. The restaurant interior is relaxed modern, and the space itself is large so the seatings are very comfortable no matter if it’s a table for two or a large party. To me, it’s the combination of the attentive, knowledgeable staff and the quality of food that make this restaurant special. On show nights, the staff immediately ask you when the show starts so they can ensure you won’t be late. For us, I was especially appreciative of how the staff took Mom’s lactose intolerance very seriously. The staff was quick to point out the best entrée options for her, and where possible, offered substitutions that would accommodate her diet (Figures 1-3). The menu has a nice selection of standard and not-so-standard fare (Figure 4), so it is sure to please most diners on a given night. The wine list and quality of cocktails are great. 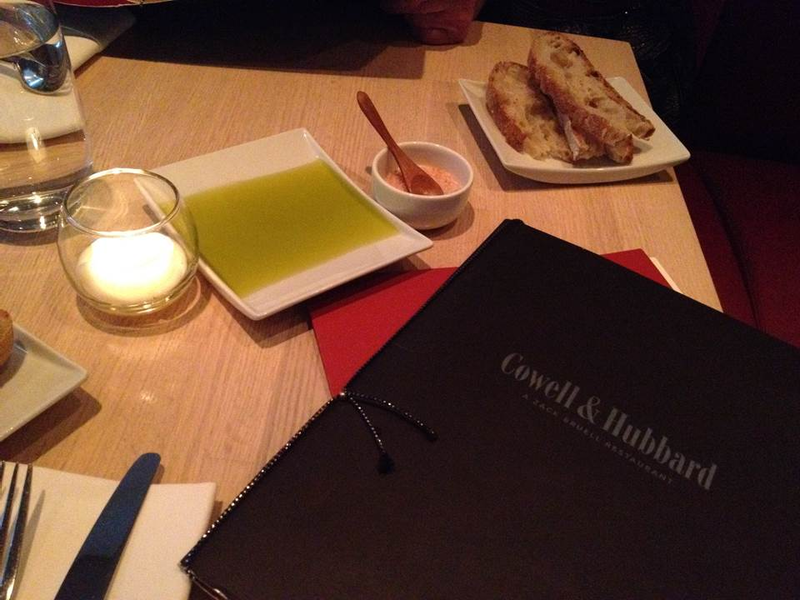 I know we’ll be back to eat at Cowell & Hubbard whether it’s for a show at Playhouse Square or it’s for a night out. Hopefully this time I’ll remember to make reservations in a timely manner to avoid the 4:30pm seating situation. Figure 1. Bread and olive oil. Lots of olive oil! Figure 2. 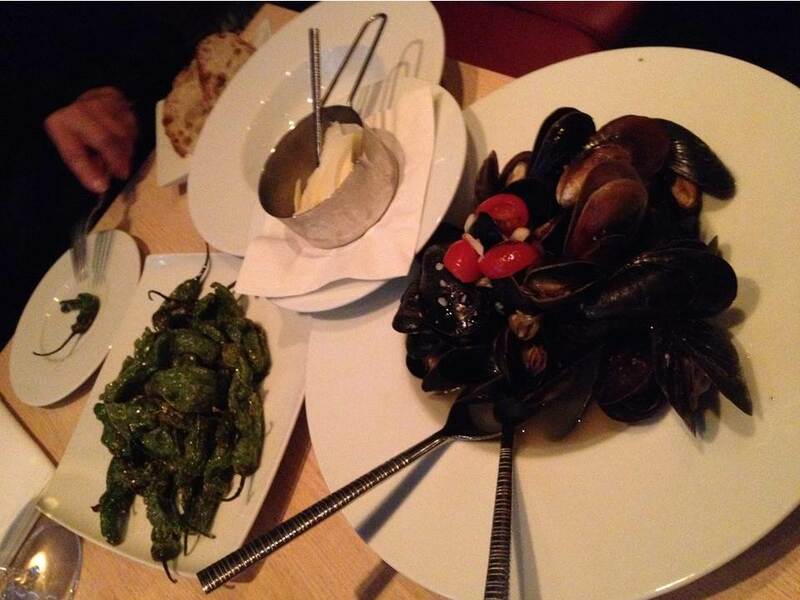 Fried shishito peppers and mussels provençal. This version of mussels is sans butter with the shaved cheese on the side. Figure 3. Stuffed poblano peppers (black beans, roasted corn and red pepper coulis; vegan) for Mom and chicken thighs (celery root puree, blue cheese and jalapeno butter) for me. Figure 4. 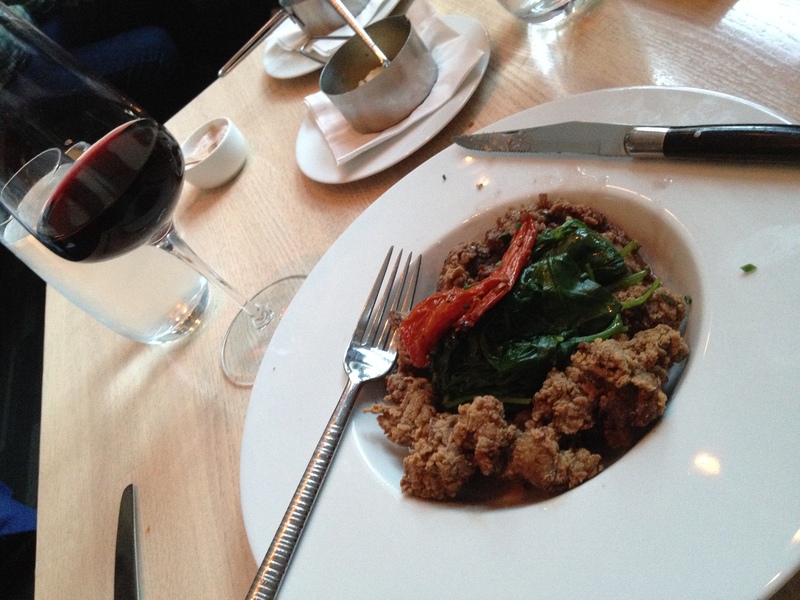 Chicken livers on brioche (sauteed spinach and cabernet butter). I got my iron for the day! Posted in Cleveland Calculus and tagged Cleveland Independents, Playhouse Square, Zack Bruell.